Non-powdered, 100% Nitrile provides superior durability and toughness for light-duty chemical and liquid-resistant applications. 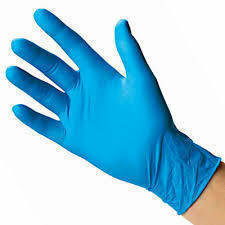 This 4 mil glove provides 3 times more puncture resistance than thicker mil vinyl & latex rubber gloves. 100 ambidextrous gloves per dispenser.